Maverick Ghanaian actor and Pastor, Majid Michel is in the camp of the delegates of Script2Screen Africa TV Reality Show 2018 for a 4-day tutoring on 'The making of an actor'. The popular and experienced role interpreter will be taking the delegates on the nitty gritty of acting in a dynamic environment. Majid who has vowed to impact these next generational actors and prepare them for the task ahead however advised them to always be prepared for opportunities. 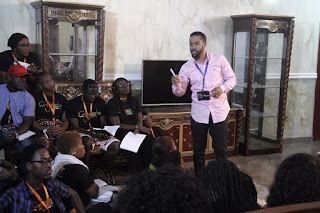 At the day one lecture which is taking place at Amen Estate, Eleko Beach road, Lagos, Majid said; "There is a difference between being ready and being prepared, because acting is a ghost, it will always be looking for someone to posses. Therefore, you have to make yourself readily available when the opportunity comes your way." He also charged them to work to the point of being appreciated by whoever the director on set might be and also posses the ability of delivering on a timeline. "Until a director clapped for you on your efforts as an actor, you need to do more. You need to give more and be ready for each challenge as they surfaced." Majid will be with the delegates till Thursday, April 12, 2018 and the delegates have promised to take every opportunity of his tutoring to becoming a better actor. 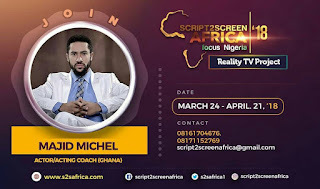 Script2Screen Africa 2018 Reality TV Show: Focus Nigeria; which started since March 24, will end on April 21. The project is supported by John D & Katherine T, MacArthur Foundation, endorsed by Federal Ministry of Youths and Sports and powered by High Definition Film Academy. The show is now showing on Silverbird Network Television on Sundays at 10:30pm; Wazobia TV/UHF channel 259 at 8:00 pm on Thursdays and 9:00 pm on Sundays; Startimes channel 195 at 9:00 pm. 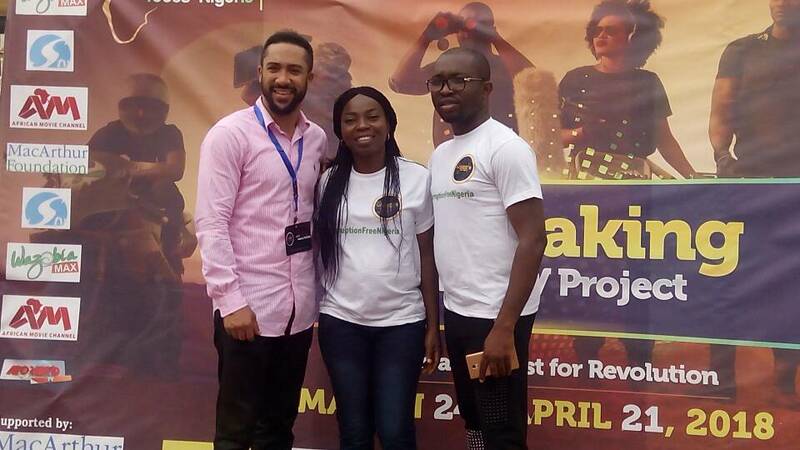 It will also be on Wazobia Max TV on DSTV Channel 259 and UHF 57 (terrestrial TV) 3:00 pm on Thursdays and Sundays, RAVE TV on Thursdays on GOTV & Star times at 7pm, as well as on channel 98 on GOTV at 8:00 pm Thursday and 9:00 pm on Sunday. htts://www.youtube.com/HighDefinitionFilmNg and https://youtu.be/NJtC-hBVhaU to watch, follow up and vote for your favorite finalist. 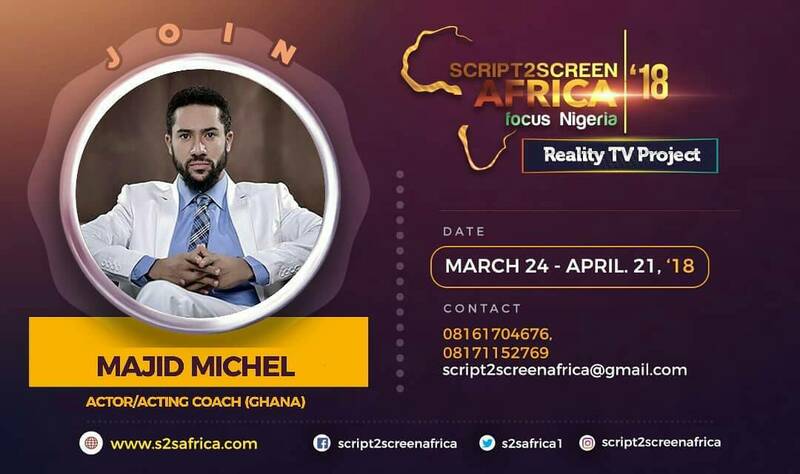 Be reminded that some of your favorite Finalists will be placed on EVICTION from now till the end of the show, all you need to vote them back into the house to continue is to visit, www.s2safrica.com/vote - and vote.